Collective Intelligence is a certified B Corp. This means we are sustainable in every aspect of our operations and have met rigorous standards of social and environmental performance, accountability and transparency. What was your purpose for joining Collective Intelligence? How have you developed during your time as a member? It’s a company that uses the power of the marketplace to help solve social and environmental problems. It is to business what Fair Trade is to coffee and USDA Organic is to milk. B Corps are certified to meet comprehensive standards of social and environmental performance, accountability and transparency. It’s real, it’s rigorous, and most importantly, you can trust it. That’s why Jay Coen Gilbert, Bart Houlahan and Andrew Kassoy co-founded B Lab, the nonprofit that certifies B Corps. It does a 360 degree assessment of how a business operates and not only verifies, but provides a roadmap for continual improvement. Check out the results of our 360 degree assessment here. Who else is B Corp certified? 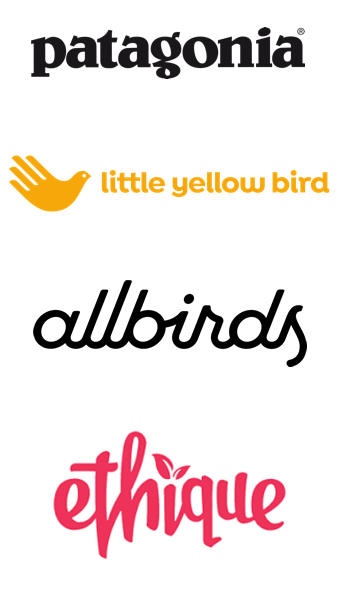 Patagonia, Allbirds, Ethique, and Little Yellow Bird to name a few familiar names. There are now 2,564 B Corps in over 50 countries and 130 Industries, and more are signing up every week. It’s pretty cool. Commitment is what defines the B Corp movement, because helping to solve social and environmental problems through business is hard. It takes extra resources, a lot more time, and there are costs that competitors don’t bear. Plus you can’t put it aside whenever it suits you, picking and choosing when to be a good citizen. It has to be part of every moment of every day. That is B Corp. And that is why we are proud to stand next to so many great companies doing things a better way, demonstrating that business can be a powerful force for good in the world. We’re hopeful the idea will continue to catch on. It’s certainly encouraging that the world’s largest investment firm BlackRock made a bold call to CEOs to start showing how their businesses are contributing positively to society. Change just might be afoot.